Lock in a great price for La Sort Boutique Hotel – rated 9 by recent guests! The location was excellent, right at the beach, restaurants were very good all around, very nice atmosphere, very nice staff. Very helpful Staff, Comfortable and Spacious Rooms. Bed superb.breakfast very good and staff so very good. Nothing to dislike. Everything. Its so comfortable. The bed is enormous and i had some of the best nights sleep ever. The breakfast is great and the staff are very friendly and accomodating.. our stay was excellent. We will be back. Staff were so pleasant and helpful. We were departing very early morning but they arranged to have simple breakfast coffee available for us. 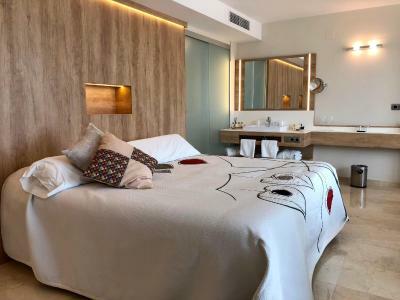 La Sort Boutique Hotel This rating is a reflection of how the property compares to the industry standard when it comes to price, facilities and services available. It's based on a self-evaluation by the property. Use this rating to help choose your stay! 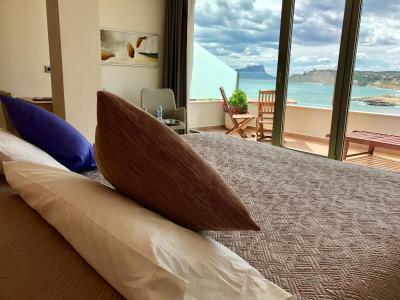 One of our top picks in Moraira.Boutique Hotel LaSort is set on the seafront in central Moraira and offers elegant, modern rooms with free WiFi. 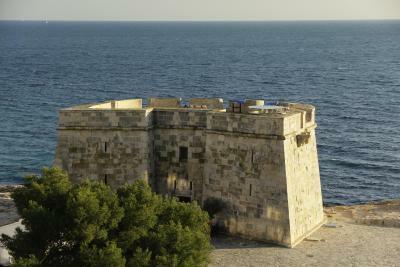 It features an on-site restaurant with a terrace. 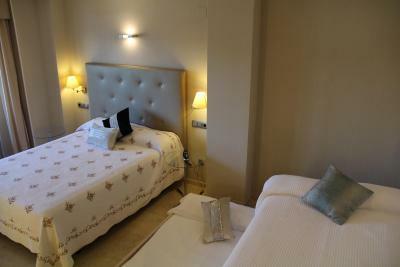 All rooms are spacious and bright, and come with a Nespresso coffee machine with capsules, a TV, and mini-bar. Each one has a private bathroom with bathrobes, slippers, toiletries and a hairdryer. 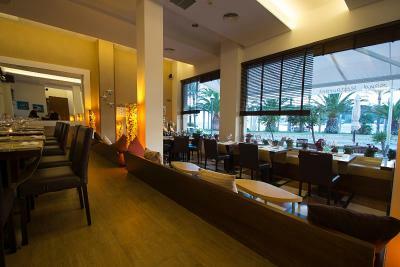 The Sand Restaurant specializes in fresh fish and seafood, and also offers a variety of tapas and other dishes. In the surrounding area you will find many restaurants and shops. 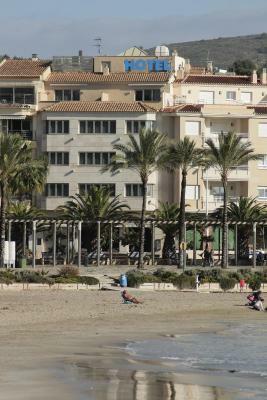 You will also find Moraira Marina within 5 minutes' walk. 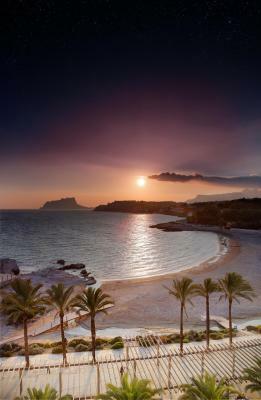 This is our guests' favorite part of Moraira, according to independent reviews. 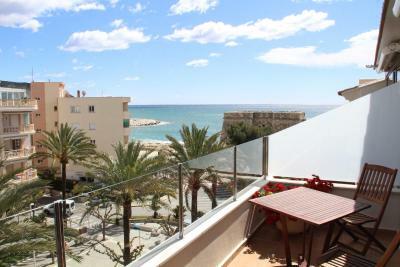 This property also has one of the top-rated locations in Moraira! Guests are happier about it compared to other properties in the area. 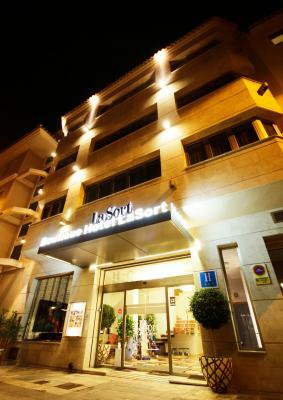 When would you like to stay at La Sort Boutique Hotel? This room features direct views of the beach. All rooms have air conditioning and a flat-screen satellite TV. Private parking is available at a location nearby (reservation is needed) and costs EUR 27 per day. This room offers views of the boulevard. All rooms have air conditioning and a flat-screen satellite TV. This room offers views of the castle and the boulevard. All rooms have air conditioning and a flat-screen satellite TV. 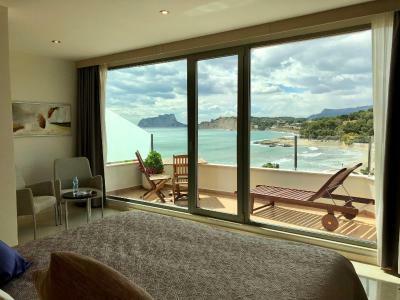 This double room features sea views. It offers air conditioning, shower and a mini-bar. House Rules La Sort Boutique Hotel takes special requests – add in the next step! La Sort Boutique Hotel accepts these cards and reserves the right to temporarily hold an amount prior to arrival. Please note that if you arrive before 15:00 you can leave your luggage at the property until the room is ready. Our neighbours were a bit noisy!! Rooms are advertised as sound proofed, they are not, we travelled as part of a large group so we knew everyone around us but the sound proofing of the rooms was really quite poor. clean, comfortable , lovely staff!!! Parking can be difficult but they advised us well as to where and what times were free. We ended up using free town carpark which was only a short walk. Amazing... we can not fault this hotel in any way. We booked for 2 nights and ended up arriving 2 days earlier. We stayed in a sea view suite (25€ per night more than the castle view room!) which had fantastic views (Room 402). The room itself is very big and has all the amenities you need. There is a table with 2 chairs and a sunbed on the balcony. The shower is the best shower we have ever had in a hotel! The room is completely soundproof with black out curtains so you have no idea what time of the day it is!! The staff are extremely helpful and very friendly. Breakfast is included and is served downstairs in the hotel restaurant. There is a continental and cooked breakfast - you can have whatever you want. 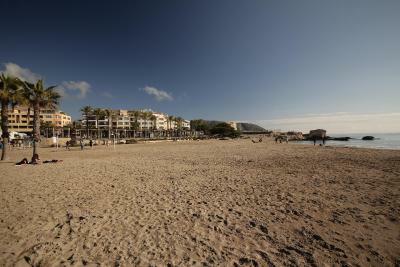 The hotel is in a perfect location with only a 1 minute walk to the beach. Everything about the Hotel was excellent. Highly recommended. 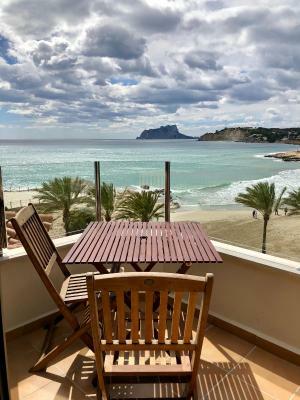 The facility was in a perfect location overlooking the beach, the inclusive breakfast was excellent and we had a couple of lunches at the Hotel which were of a very high standard. All the staff at the Hotel were very welcoming and could not do enough for you. We would highly recommend this Hotel and would have no hesitation staying there once again. No seating in the room for sitting at the desk, & only one lounge type chair. My wife & I like to partake in a glass of wine whilst she is getting ready to go out, we felt that the room was particularly uncomfortable, with exception of using it for sleep. Typical Spanish hotel you'd expect to visit in the 1980's, great location with little facilities. However, the restaurant was the diamond in a pile of coal. Staff were extremely friendly, although not all had a good command of English.